Cadillac is set to vacate its offices at 330 Hudson Street as it relocates its global headquarters back to Detroit. 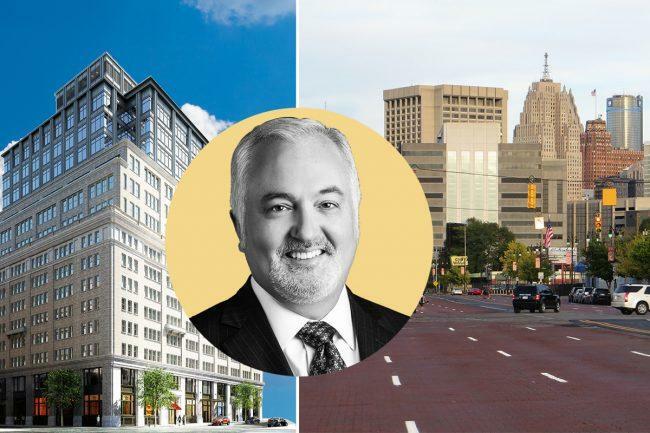 The move comes four years after the brand, a division of auto manufacturer General Motors, started operations at the 16-story Soho office building. In an interview with the Wall Street Journal, which first reported the news, GM executive Steve Carlisle said that he wants Cadillac’s executives to be near the company’s design and engineering facilities in suburban Detroit. “We’ve got to think about how we take inefficiencies out of the communication process between the Cadillac team and the GM partners,” Carlisle said. Cadillac signed a 34,000-square-foot lease for the top two floors of the building in 2014. There are about 110 employees at the location, most of whom are executives and marketing staff. Cadillac previously hosted art exhibits in the building’s ground floor retail area. The space, which the brand named Cadillac House, will be kept open after the relocation. AEW Capital Management signed a contract to acquire the 470,000-square-foot office building for $385 million in January. It was previously owned by a joint venture between Ivanhoe Cambridge and Callahan Capital Properties. AEW did not immediately return requests for comment.